Two famous leaks from China - MMDDJ_ and UniverseIce - told the first details about the technical specifications of the next Samsung stylus. According to MMDDJ_, Galaxy Note 9 will receive a slightly enlarged display. If last year's model uses a 6.33 "screen, then this time it will be applied 6.4" panel. This is really a minor change, but it will increase the gap between S9 + and Note 9 by one and a half times (S8 + and Note 8 differ by a ridiculous 0.13 "). Much more radical changes are being read by UniverseIce: the capacity of the battery will increase from 3300 mAh to 3850 mAh. Or even up to 4000 mAh, he just does not know. Recall, the announcement of Samsung Galaxy Note 9, most likely, will be held in November. According to rumors, it can become the first device in the assortment of the Korean company, which will receive a fingerprint scanner in the screen. The standardization bodies FIDO and W3C recommended a new authentication technology, called WebAuth. The system provides for the replacement of passwords for user biometric data - fingerprint, face identification or USB-key. The function is available in the Mozilla Firefox browser, and in a few months will appear in Microsoft Edge and Google Chrome. Apple has not yet agreed to install the system in its Safari. The new security technology will allow websites for authentication to use directly connected to them a smartphone, a hardware key or a special Trusted Platform Module. The application will collect all the biometric data of the user and replace them with passwords, so to enter the system requires, in addition to personal information, also the presence of a person. The developers are sure, thanks to the new technology, you can eliminate most common security threats. The introduction of the system will help to facilitate the use of biometric and highly reliable personal authenticators on various platforms. Previously, Facebook introduced a new authorization function using an electronic key. Diabetes mellitus is one of the most dangerous and common diseases in the world. Those suffering from this disease should constantly monitor the level of glucose in the blood. British scientists have created an electronic plaster that will facilitate the fate of patients. Traditional methods of blood sampling suggest permanent finger punctures. This procedure can not be called pleasant. Scientists took care of diabetics and created a device that can determine the level of glucose in the human body without pain. The electronic patch is stuffed with a lot of tiny sensors. These miniature measuring instruments gain access to the fluid of the internal environment of the organism, similar to plasma. Sensors act on it with a small current and thus recognize the level of sugar in the blood. Scientists tested on pigs and humans. The test results were positive. Further research is needed, since it is desirable to wear the electronic patch constantly. Specialists want to know how this device behaves when worn around the clock. Scientists are sure, in the future electronic plasters will become as commonplace as "smart watches" or mobile phones. The developer of computer games Blizzard announced the date of the festival Blizzcon-2018. The event will take place in the American village of Anaheim in California. The Blizzcon-2018 festival will be held on November 2-3. Some games will be presented at the end of October. Tournaments on World of Warcraft, Heroes of the Storm and Star Craft start a little before the specified time. You can buy an authorization document for the event on May 10 and 12. The cost of tickets is 200 dollars, if you do not take into account tax deductions. Blizzard Company traditionally offers visitors a memorable gift. Blizzcon is a festival where the developer shows new opportunities for his advanced games. Here, the interested learn a lot of useful information about your favorite shooters and strategies. Present can take part in various competitions, play in still unannounced shooters. The cost of Blizzcon-2018 tickets includes a "set of souvenirs" from Blizzard. The Chinese developer of artificial intelligence (AI) and face recognition SenseTime has tripled its estimated value after the next round of funding, reports Reuters. On April 9, 2018, SenseTime announced that, following the third round of fundraising (Series C), the company managed to raise $ 600 million. The main investor was the Chinese giant of e-commerce Alibaba Group, and among other participants are the Singapore investment fund Temasek and the Chinese trading network Suning. After the previous round of financing for Series B, which ended in July 2017, and brought SenseTime 410 million dollars from the Chinese investment company CDH Investments and the Chinese-backed Sailing Capital fund, the cost of the Chinese AI start-up was estimated at $ 1.5 billion. In addition, in November last year, an American chipmaker Qualcomm reported on cooperation with SenseTime and providing funding to it. Thanks to the support of partners in less than a year, the estimated value of SenseTime has increased 3-fold and now stands at about 4.5 billion dollars, the agency informed sources. The management of the Chinese company does not disclose the cost, but note that in view of the latest round of financing, SenseTime has become the most expensive AI startup in the world. SenseTime develops applications for face recognition and analysis of video data, and also conducts research in related areas such as systems for unmanned vehicles and augmented reality (AR). According to Reuters, SenseTime technologies are used in 14 different sectors, and the main clients of the company are police departments throughout the PRC. Bloomberg reported that SenseTime is currently working on a service code-named "Viper", which will provide analysis of the video stream coming from thousands of video cameras in real time. It is assumed that the platform will become a valuable tool for organizing mass observation. 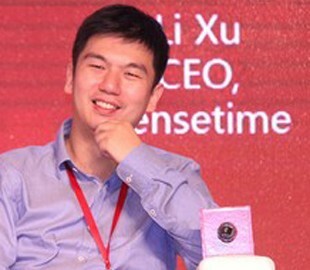 In an interview with the publication of one of the founders of SenseTime, Xu Li (Xu Li) said that the company is going to explore several strategic directions, so it needs additional funds to develop its infrastructure. Also, the top manager noted that in 2017 SenseTime has become profitable, and that over the past three years the company has been increasing its revenue by an average of 400% per year. In SenseTime plans until the end of 2018, a third increase in staff and bring the total staff to 2 thousand employees.